Capt. Kevin McLaughlin and Cmdr. 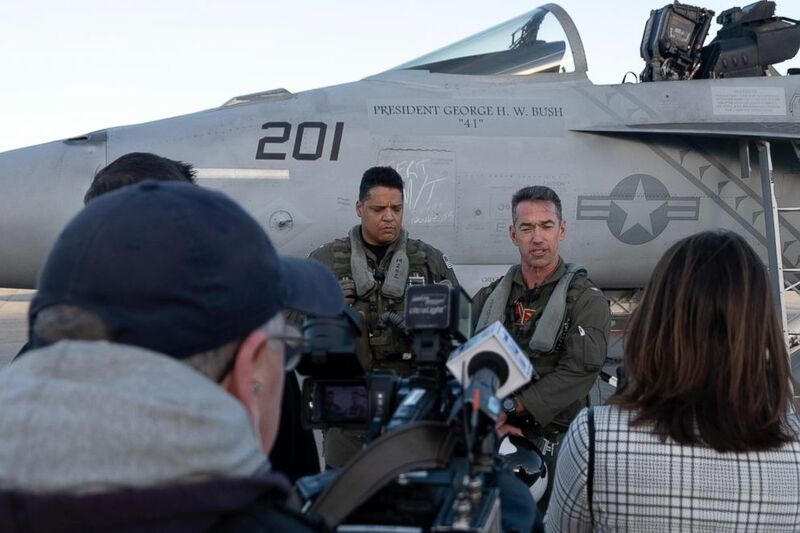 Patrice Fernandes prepare to fly an F/A-18F Super Hornet to the staging location in advance of their upcoming flyover honoring fellow aviator and late President, George H.W. Bush. 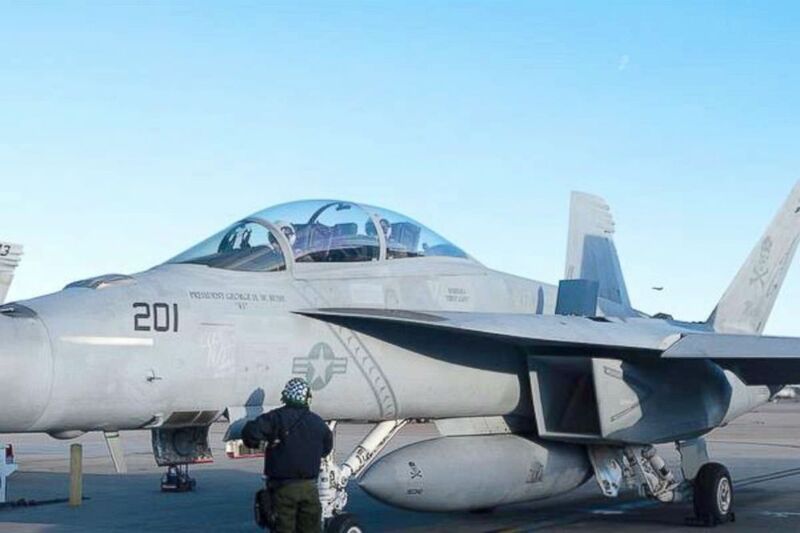 Twenty-one Navy fighter jets will conduct a flyover of the Bush Presidential Library in College Station, TX to honor fellow aviator and late President George H.W. Bush.